The ADA applies to everyone, whether you own a coffee house or retail store, work for a large corporation or government entity, or manage a website for your local church. When organizations in the US begin the journey of designing or redesigning their websites and electronic communication products for accessibility, the first question that comes up is: what do we have to do? 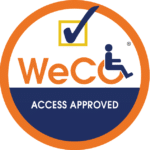 Thus, all of WeCo’s accessibility training courses includes an overview of Section 508 of the Rehabilitation Act of 1973 and the Americans with Disabilities Act. As we grapple with what these pieces of legislation mean to us and the organizations we work for, we need to take a closer look at each law and note who they apply to, and under what conditions. The Americans with Disabilities Act (ADA) applies to all businesses and organizations, whether they are private, for-profit, non-profit or government. When we bring this up to clients and people who attend our seminars and workshops, we usually, hear, “But we’re not government so this doesn’t apply to us, right?” Wrong. The ADA applies to everyone, whether you own a coffee house or retail store,work for a large corporation or government entity, or manage a website for your local church. The information all organizations put out for the public to access electronically must be accessible to everyone. There are times when organizations may be able to show that making something accessible could create an “undue burden” but, given what we know about accessible design for websites and documents today, that is probably not necessary in most situations. The difficult thing about the ADA is that it doesn’t give us a great deal of detail regarding what electronic mediums should embody to be considered accessible. However, this law is being used with more frequency to uphold the rights people have to access information online and in electronic formats. ( This occurred just last year in Netflix versus the National Association of the Deaf, in which the NAD won a Massachusetts District Court ruling which compelled Netflix to add closed captioning to their Instant Watch videos.) WeCo recommends the use of the next piece of legislation as a guide to our clients who are working to comply with the ADA, as it provides more detail. Section 508 Rehabilitation Act of 1973 applies to Federal Government entities as well as organizations who receive federal dollars. This includes organizations who are sub-recipients of federal grants. The detail that is often missed is that Section 508 applies to for-profit organizations who do business with another organization that is paying for goods or services with federal funds, even if only a portion of the money is from a federal source. As a former federal program coordinator who successfully weathered more than one federal program audit, I can assure you that this is true and is discussed in great depth during standard audits. WeCo is offering a FREE Accessibility Checklist for our blog readers this month! Contact us to receive yours! The up side of Section 508 is that the law is extremely specific regarding what is considered accessible for electronic medium. So much so that the government hired an organization to create a Voluntary Product Accessibility Template, or VPAT, that assists organizations with documenting the work they’ve done to achieve compliance with Section 508 criteria. At WeCo, we work with VPATs on a daily basis because Section 508 criteria is built into every WeCo Access Approved test case. It’s also very common for us to break out this information out of our standard test case reporting and put it into a separate VPAT for our clients who do federally-funded work. To receive more details on the Americans with Disabilities Act and Section 508 of the Rehabilitation Act of 1973, we encourage you to make use of WeCo’s Free Accessibility Library. 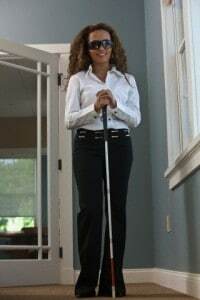 In particular, go to “Introduction to Accessibility Laws and Standards.” The library links listed in this section will take you directly to the laws and related resources. We would also like to make a special offer to our Accessibility Information Blog readers this month to receive a FREE WeCo Accessibility Checklist chart for your desk or workstation. 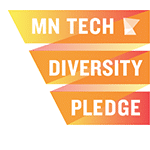 The Checklist is a great overview to get you started on learning more about web and document accessibility. To receive your free chart, simply complete the “Contact Our Staff” form and put “Free WeCo Chart” in the subject box. Be sure to include the address you’d like us to send it to, if you prefer one of our glossy-print copies, or simply designated “email copy” if you’d like a digital version–and yes, we can send you both!